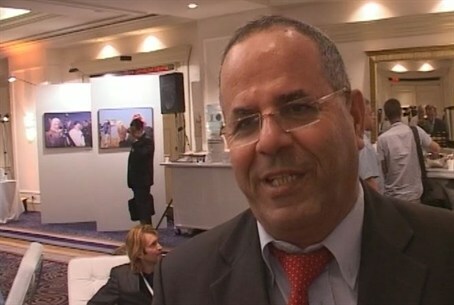 MK Ayoob Kara says cooperation with Arabs is possible through businesspeople and not with the PA's leadership. Arutz Sheva spoke to the Deputy Minister of the Development of the Negev and the Galilee, MK Ayoob Kara (Likud), at the first International Regional Cooperation Conference in Tel Aviv. Asked whether regional cooperation is possible with so much tension in the region, Kara said he believed it is indeed possible. Kara suggested that Israel should be speaking to the local PA businesspeople rather than with the PA’s leaders. Kara also addressed the fact that he is a Druze who is one of the most conservative and outspoken members of the Knesset and a strong supporter of Israel.